Join Us!!! We are looking for someone to help us cover Pacific Games basketball. Please send us an e-mail. 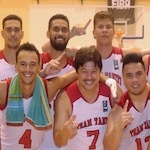 The Samoa 2019 Pacific Games released their competition schedule which includes 5 on 5 basketball and the debut of 3x3 basketball in next year's games. Eight teams will compete in the 5 on 5 event and the top two teams will qualify for the FIBA Asia Cup 2025 Qualifiers. Among the teams already qualified are Papua New Guinea, New Caledonia, and Fiji (Melanesia Cup 2017), Guam (Micronesia Games 2018), and host Samoa. The final three teams will be determined in the Polynesia Cup in November 2018. 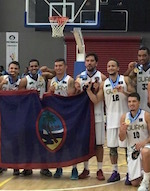 In the previous iteration of the Pacific Games, Guam and Fiji qualified for the 2021 FIBA Asia Cup Pre-Qualifiers and will compete in the Eastern Region qualifiers. The Pacific Games will be held in Apia, Samoa on July 7-20, 2019. FIBA Oceania Competitions Manager, Amanda Jenkins stressed the importance and prestige of the Pacific Games 2019 in connection to the new competition system. "The Pacific Games will be the gateway for all the Pacific nations to compete outside of their region and play against teams from Asia. They are now playing for the chance to compete and prove themselves on a grander stage," said Jenkins. The quadrennial event will also welcome the 3x3 discipline into the fold. The fastest growing "urban sport" will give national federations another avenue to improve their basketball programs. The national federations will need to meet the 3x3 eligibility conditions of three registered events held in the country by November 1, 2018. "3x3 basketball is a very exciting sport to watch," said Jenkins. "Countries like Vanuatu, Guam, and PNG have been really active, hopefully, the other countries follow suit," she added.